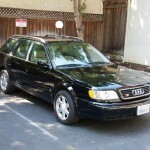 This auction is for a 1995 Audi s6 Avant with ~171,000 miles. I am the second owner and purchased the car from BMW of Mountain View (1st owner traded it in) in early 2009 with 149,000 miles on it. Itâ€™s been garaged for the entire time that Iâ€™ve owned it. 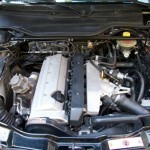 Iâ€™ve changed the oil every 3,000 miles using OEM (Mann) filters and Mobile 1 full synthetic 15W-50 motor oil. Itâ€™s been power waxed and polished every 6 months or so and had Meguiarâ€™s spray wax applied when washed in between those 6 month intervals. Techron fuel cleaner has been used in 1 year intervals. I have three keys (1) master key with separate electronic key fob (2) backup key identical to master key and (3) a valet key (doesnâ€™t open the glove compartment). I have all original documentation and ownerâ€™s manual. The car has itâ€™s original paint, itâ€™s never been restored or touched up. As such, the front, hood, and headlights do have some pitting and rock chips. There are some parking lot dings (see pictures) and general use scuffs. Also, when I replaced the battery, I thought I had the radio code but I didnâ€™t and so the radio is in safe mode and will need to be unlocked by Audi or replaced. The car has never been in an accident. See FULL DISCLOSURE section for additional details. The car is fantastic, itâ€™s been my baby for the last 4 years. Itâ€™s drives really well, the engine is smooth, and Iâ€™m going to miss it when itâ€™s gone. My original intention was to fully restore this car, however, I just donâ€™t have the time or space. Itâ€™s my second car and it spends a lot of itâ€™s time in the garage (22,000 miles in 4 .5 years). I want someone with an appreciation for the original s cars to give it a good home. Â· Bilstein Sport Shocks (on stock springs, stock ride height). Â· As far as I know itâ€™s the original clutch although you wouldnâ€™t really know it by driving it. Iâ€™ve babied it, always rev matching on downshifts and never done any crazy launches or anything. Being 171k miles though I would say this would be a replacement item to consider when purchasing. Â· There are three noticeable parking lot scratches/cracks/dings and a couple other minor paint issues that you can see from the pictures. (1) crack on the front bumper corner with (2) scratch on driverâ€™s side front lower fender (3) ding above front driverâ€™s side wheel well (4) rear roof spoiler paint is fading and has some visible defects (4) rear bumper corner trim piece paint is fading with visible defecting. Â· It has the original paint and thus there is fair amount of pitting and rock chips in the front, hood and, headlights (see pictures). Â· The radio works, however after replacing the battery it went into safe mode and I donâ€™t have the radio code to unlock it. Fixes would be (1) call Audi and try to get a code from them (2) replace the radio head unit. 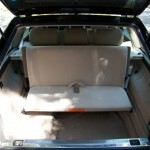 Â· The leather seats do show wear and the front driver seat is the most visible with some cracking in bolsters. The left torso bolster cracked open exposing the foam underneath and Iâ€™ve patched it with beige duct tape to stop further damage (see picture). 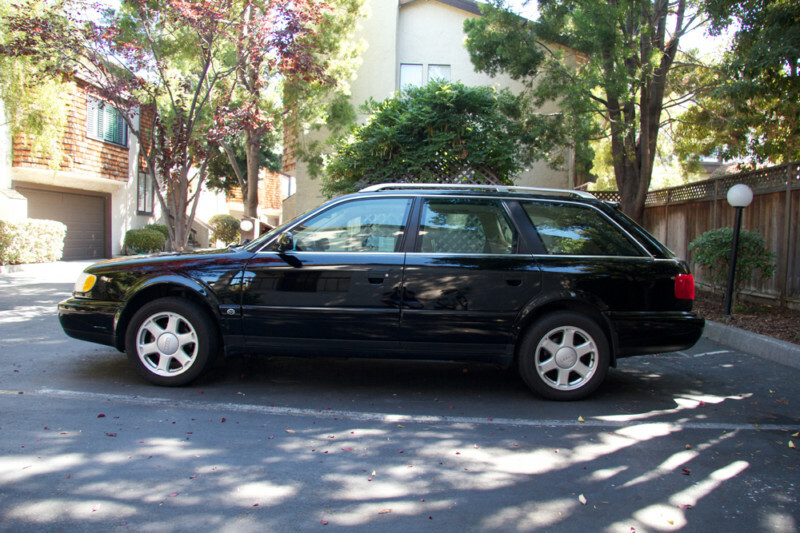 Â· It has not had the timing belt and water pump service. Itâ€™s been babied and garaged so the belt actually looks to be in really good condition but this was something that I had planned on doing soon and something you will want to factor in when purchasing. (I have the parts for this for DIYers). 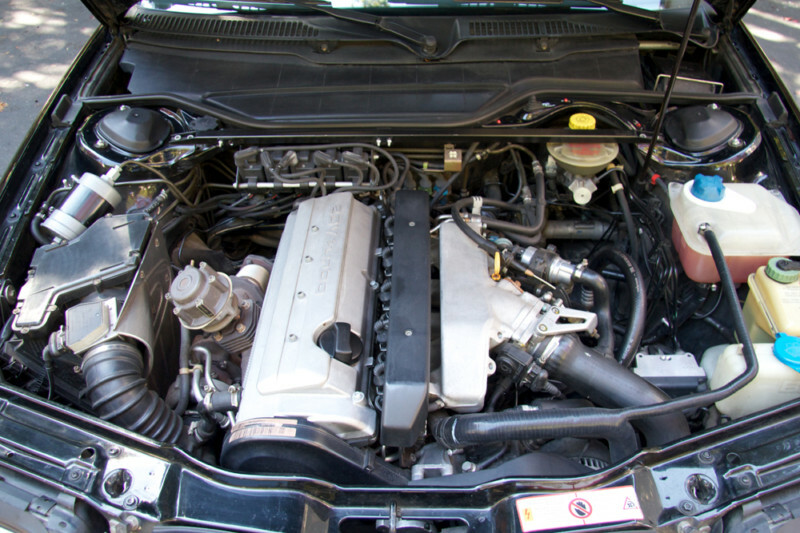 Â· There is a very small coolant leak, itâ€™s so small that it evaporates in the engine compartment as there are no drips on the floor. Just FYI. 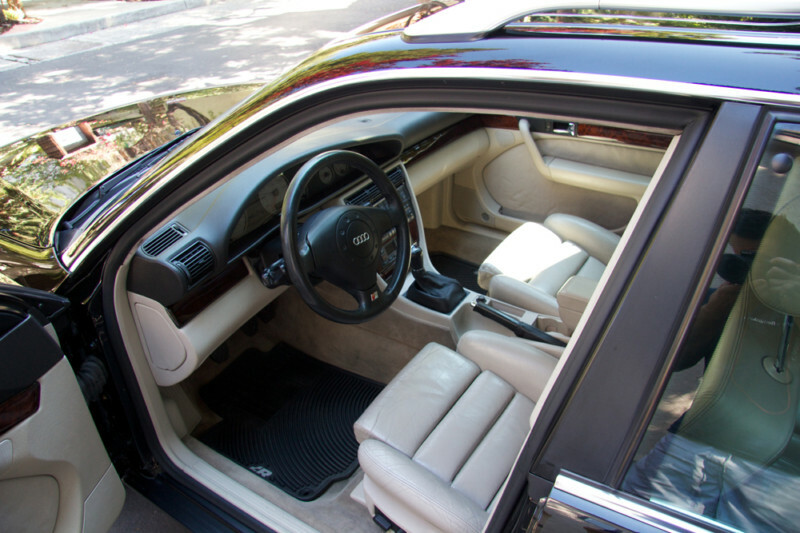 Â· It didnâ€™t come with any of the OEM floor mats for some reason. I have two rubber matts that fit decently from a first generation VW R32. There are no rear mats. Sellers, take note; full disclosure is such as great thing to see. The seller could likely have gotten away without disclosing things like the small coolant leak, but the attention to detail is reassuring when looking at purchasing a car such as this. Most of the cars that we feature on GCFSB are out of the reach of your average buyer, but these cars offer an opportunity to get a reasonably reliable daily driver that’s exotic and fun to drive while practical. There are items that are harder and more expensive to replace, but this is a car that you really can DIY and keep running for hundreds of thousands of miles. This car has a leg up on most with a well documented history of repair. Mileage is on the higher side for many “normal” cars, but still in the reasonable range for one of these limited production cars. 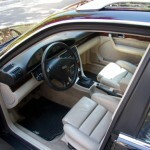 The interior is what I would prefer in Ecru; while it shows more wear than the black typically, with all of those windows having a black interior can eliminate the need for seat heaters. 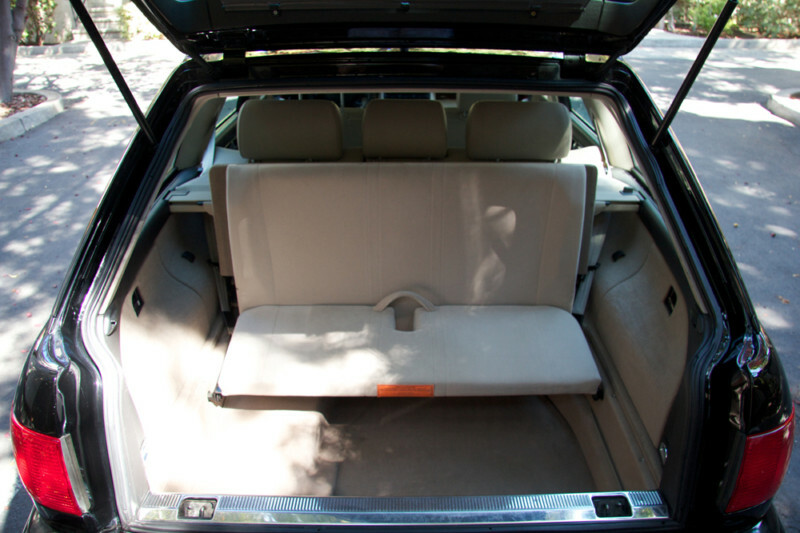 Speaking of seats, this car also has the third row option, making it even more functional as a family hauler. The silicone hoses and coil pack replacements are necessary items for the long term, and Bilsteins help to firm up the floaty ride many older Audis suffer from. This may not be the dream ride that many who look through these posts hope for, but it is a solid driver that offers high performance and practicality on a level few cars can attain. Watching the prices of 200 20V Turbo Quattro Avants rise over the past few years, one has to wonder when the market will similarly take off for these S6s. 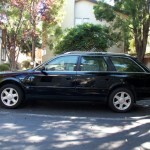 Tagged 1995, 2.2 turbo, 20V, AAN, Audi, Avant, C4, estate, S6, Wagon. Hi. The eBay link you have for the Avant is redirecting to the post for the 944 T.
Thanks Brandon, the link has been corrected. Sounds like a mechanically sound DD but some of the “full disclosure” item concern me, “beige duct tape” on the seat bolster, no floor mats, due for timing belt and clutch? 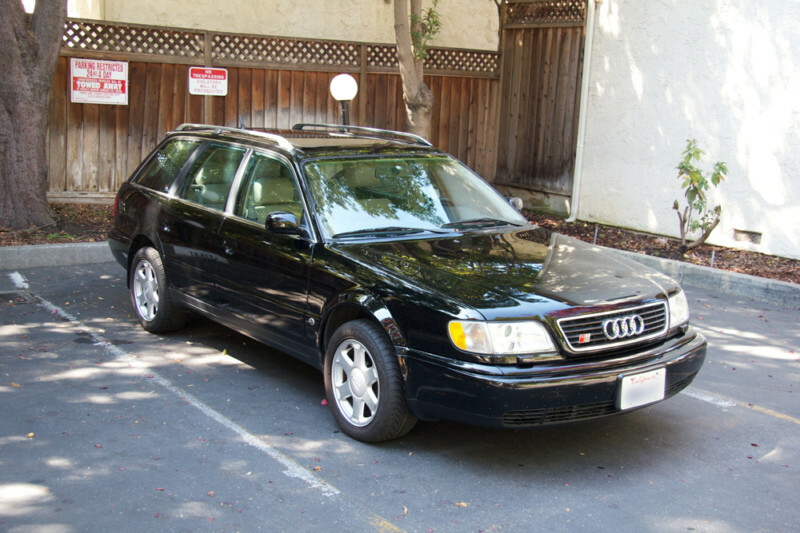 Also calling the S6 Avant best of the breed only applies to wagons, Audi accountants definitely implemented some cost cutting measures during the C4 S4/S6 swan song, plastic tank intercoolers and crossover pipes being the most concerning. Some of these cars got the massively strong wide first gear 01E trans, but they are extremely rare. All minor issues compared to the coolant burning, I would wager it is due valve stem seals, If you plan on driving the car another 150K that equals a cylinder head rebuild. All the low mileage examples surfacing recently and selling for strong money is a very good sign for this cars dedicated following, I still see a few others on the road every week here in Colorado, considering the low production #’s that’s amazing..
There’s amazingly few Ur S6 Avants in the US – I’ve read that the number is the hundreds. 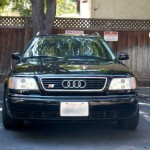 We didn’t get the Ur S4 Avant so there’s only 1 1/2 years worth of these in North America. UrSDriver – you’re right to point to the mechanical points of concern. The Timing Belt and Water Pump.. if you were to fly-in/drive-out you might find yourself genuinely stranded. I picked a nice desolate corner of West Texas out for my version of that scenario. I patiently searched three years to find mine, I can confidently say its the finest car I’ve driven, and well worth searching out a clean, well-preserved example. The build quality is quite high, especially the interior. The seats alone are worth trying one out. 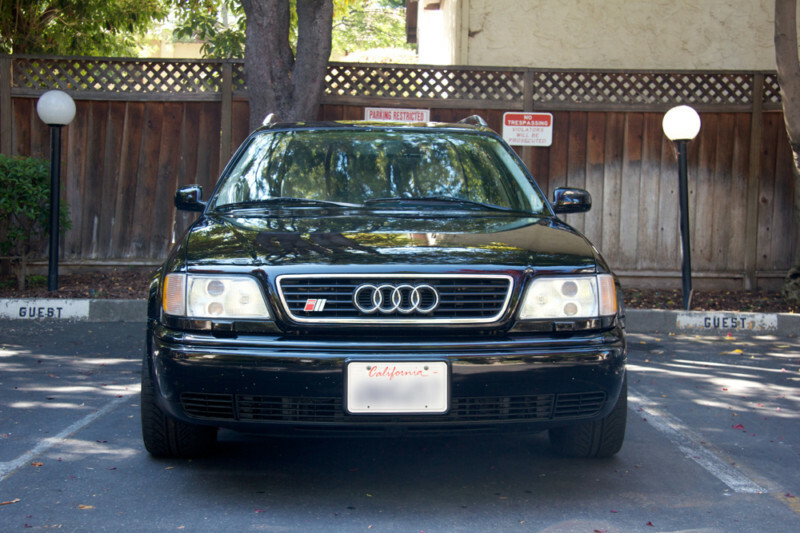 Mine is this car’s twin, but a 95.5 black w/black interior. Has the typical upgrades, with RS2 bits, suspension, and 6-speed. The gas mileage on the highway is phenomenal for a car of this age, weight, and power- I got 26 mpg+ on a recent trip, which I think was something like 422 miles over 16 gallons. If anyone is in SEPA and curious about these cars, let me know.